Seoul has always been a popular tourism destination for Asians. As South Korea becomes better known internationally - thanks to the Korean wave, K-pop, and movies - more are coming to Seoul for tourism than ever before. Because of this, in recent years it’s become more popular for people from other regions of the world to travel and find jobs, such as teaching English. Like Taipei, Taiwan, and Osaka, Japan, Seoul’s charm comes less from temples and tourist spots, and more from the character of the city and its neighborhoods, and all the little things it has to offer, like shopping and nightlife. There’s no one tourist spot that stands out - like the Great Wall of China - but all of the smaller aspects of the city come together to form an exciting whole. 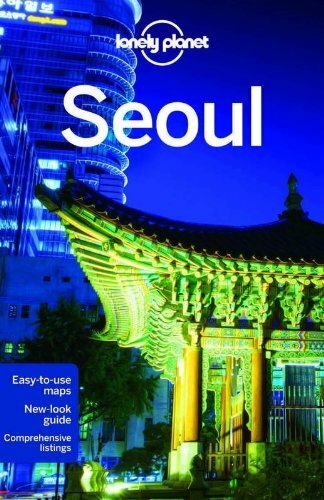 The following are some of the best sights in Seoul, as well as some pieces of advice - such as cheap flights from Seoul to other parts of the country (for great weekend trips in South Korea), as well as a few words on how to save money. Thanks to Gangnam Style, many already know this upper class district in Seoul. Gangnam is one of the wealthiest areas in not only Seoul, but in all of South Korea. While it lacks the tourist attractions of northern Seoul - like Gwanghwamun, it’s an excellent place to hang out and experience some of the best nightlife in South Korea. That nightlife is centered around the Gangnam Station Area, one of my favorite spots for hanging out in Seoul. I lived here for around a year, and even before then I went there several times a week to meet friends. It’s one of the best Korean hotspots for nightlife, shopping, and almost anything you need. Bars are everywhere in Seoul, but some of the better ones are here in Gangnam, along with some of the more higher class nightclubs. But you don’t have to spend a lot of money here to have a good time - just walking around and enjoying the atmosphere is fun, plus there are budget shopping and nightlife options for those wanting to save money. That said, outside of nightlife and shopping Gangnam still has some of Seoul's best tourist spots. The most well known being COEX Mall, the largest underground mall in Asia. This area also contains a lot of high profile businesses, so you’ll see plenty of workers from the most famous Korean companies, such as Samseong. COEX features great shopping and some live events - I once saw Korean band Jaurim performing there, as part of a Samsung Galaxy promotion. COEX also has other sights like an aquarium, and Bongeunsa Temple, a quiet, yet visually appealing temple across the street from the mall. Still, Gangnam is better for those wanting to experience fast-paced, modern Korean life rather than Korean history or culture. If Seoul's nightlife and shopping aren’t for you, then Gwanghwamun in the northwest contains more tourist attractions that highlight Korean history and culture. There are museums, temples, and historical sites for you to check out here. Right out of Gwanghwamun station is Gwanghwamun Plaza, which contains a prominent statue of King Sejong, and is surrounded by embassies, (such as the US Embassy in South Korea) museums (like the recently opened National Museum of Korean Contemporary History) and Korean temples and palaces - like Gyeongbokgung). Hyehwa in the north is another area that’s not full of tourists, but is one of the most interesting neighborhoods in Seoul. Hyehwa is known as an arty, trendy neighborhood with many college students and young professionals nearby. If you’re interested in watching theatre in Korean, Hyehwa is the place to be. It also contains plenty of cafes - both franchise chains and independent coffee shops - low-key nightlife, and international restaurants that can’t be found elsewhere in Seoul. Those wanting to see some traditional Korean architecture should visit Changgyeonggung Palace, which is a short walk from Hyehwa station. If you want to see more youth culture, there are plenty of college neighborhoods in Seoul. While not quite as eclectic as similar districts in Tokyo, Japan, college areas in Seoul still offer plenty of nightlife and other activities. You can take a walk through some of the scenic campuses in Sinchon- such as Yonsei University, Sogang University, or Ehwa Women’s University. All three are popular destinations for foreign students who want to learn Korean or study abroad in South Korea (both for language practice and Master’s Degrees). If you’re interested in a more laid back nightlife atmosphere than what Gangam has to offer, then Hongdae is for you - as it contains some of the best nightlife in Seoul, as well as plenty of concert halls for those wanting to see live K-pop and K-rock acts. Less well known is the Kunkook University Area in the east, which doesn’t offer the same nightlife and concert venues as Hongdae, but is still good for a night out at a good price. Seoul Tower is among the best tower views in Asia. Located in the center of Seoul, it can be clearly seen from many of the nearby neighborhoods and tourist areas - such as Myeongdong, and various spots along Seoul's Han River. The tower itself is a little inconvenient to get to - it’s a bus ride up a mountain, from a nearby subway stop - but it’s worth the hassle considering the view of Seoul you get. Even if you don’t climb the tower itself, you can still get an excellent view of Seoul, especially at night. It’s also famous for its love padlocks on a fence near the bottom of the tower, where many young couples put locks to declare their affection for each other. Jamsil - in eastern Seoul - is a mostly residential neighborhood that still has a few good attractions. It’s most famous for Lotte World, one of the best amusement parks in South Korea. Like many other areas on this list, it also has some decent shopping and restaurants, and isn’t as crowded as Seoul hotspots like Gangnam or Hongdae. You can also walk along Seokchon Lake near Lotte World, a famous spot for walking and jogging. Jamsil is also not far from Olympic Park, another great area for taking a stroll, having a picnic, and relaxing. For fun, try ordering takeout from Olympic Park - many Korean restaurants will deliver to out of the way places like Seoul's public parks. Saving money in Seoul isn’t hard - the prices are very reasonable compared to Japan, and are closer to the costs of Hong Kong (besides accommodation, which is far more expensive in HK). While South Korea has been affected by inflation in recent years, Seoul is still very affordable compared to its Asian neighbors. There are plenty of hole in the wall restaurants and street food vendors, where you can get a decent meal for around 5 dollars. Nightlife is also not expensive unless you insist on higher class places. The subway is very cheap - no more than a dollar per ride to almost anywhere in Seoul. Budget hotels also plentiful - especially if you want to stay in a guesthouse or goshiwon (cramped rooms where students usually go to focus on studying, however they’re almost always open to everyone). For those wanting to get out of Seoul for a day-trip or weekend trip, there are plenty of options. If Korean airlines like Korean Air or Asiana Airlines are too expensive for you, there’s also budget carriers like Jeju Air and Air Busan. Taking the KTX - Korea’s version of the Shinkansen bullet train - is also reasonable, and non-KTX trains are even cheaper, if much slower and uglier. Nearby Gangnam is also the Express Bus Terminal which has long distance busses from Seoul to pretty much anywhere in South Korea that you can think of. Seoul, South Korea is more than the sum of its parts. While it’s lacking in temples and tourist attractions, it more than makes up for it with friendly people, great neighborhoods, and convenient nightlife and shopping Whether you’re taking a side trip from another Asian country or are staying in South Korea longer to see everything there is, Seoul has plenty to offer.